Welcome to the preview of the new “TPPA 365”. This new benefit provides members with helpful links, downloads and resources from educational articles and videos to downloadable forms, brochures and more. The links are disabled here, but TPPA Members can access the entire library when you log in at the TPPA Member Services site at TPPAmembership.com. You can contribute to the TPPA 365 library by sharing any of your forms, Photoshop Actions, videos, templates and more by e-mailing Steve Kozak or sending them via Dropbox and share with Steve@stevekozak.com. The following downloads are provided to TPPA members at no charge. The list of downloads is always growing so check back often. Have an awesome form, file, action or template you would like to share? Contact us and let’s us know and we will see about sharing here. TPPA Logo – Download the TPPA logo for use on your printed materials and your website, blog and Facebook. Our brand new, 34 page, Photographic Competition Guide Book explains photographic competition from the guild level all the way to the World Photographic Cup and everything in between. 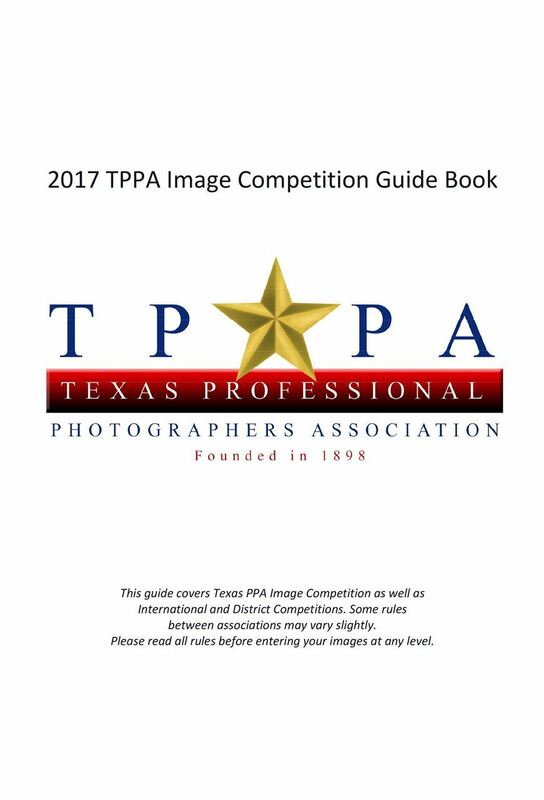 The book covers rules, the judging process, insights from other top competitors and more. It also explains the process and the awards from State, District and IPC competitions. Our brand new Competition Mats will provide you with a simple way of showcasing your images for the judges with this set of mats. 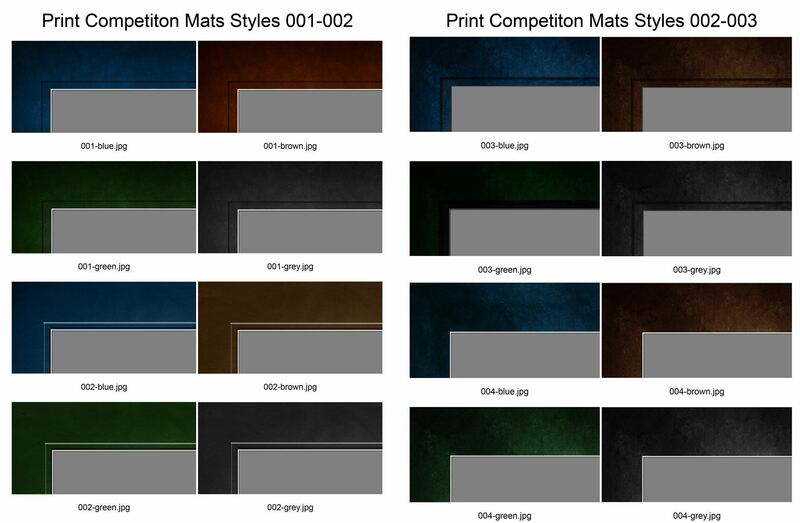 The set of 16 mats offers four styles with optional colors and stroke lines that can be customized for the colors in your image. Baby Plan – This document, created by Karen Butts collects client info who are purchasing a “baby plan”. Interactive Family Portraits – Elizabeth Homan shows you how she gets great expressions and outstanding sales with interactive family portraits. Fashion Posing for Women, Part 1 – The first in this 3-part series by Texas School Instructor, Bry Cox. In this article, Bry shares his “One Rule of Posing”. Fashion Posing for Women, Part 2 -In this article, Bry shares the “Five Tricks of a Fashion Shoot”. Fashion Posing for Women, Part 3 -In the final article, Bry shows you how to put your “Fashion Skills in Action”. School/Day Care Order Form – A school/daycare picture order form. This PSD is fully editable for your use. Created be Jenny Eisenhauer. Senior Consultation Card – A short list a questions to help you get to know your seniors. Created by Elizabeth and Trey Homan. Things to Remember – This is a short, bullet point list to help seniors get ready for their session. Great idea created by Karen Butts. Coach’s Portrait Sign Up – This form gets coaches thinking about family portraits for the home while being photographed for the team’s program. Created by Jenny Eisenhauer. Picture Day Order Form – A sample order form used by Jenny Eisenhauer with her sports sessions. Baseball Poses – Randy Pollard discusses baseball poses. Boys Basketball Poses – Randy Pollard shares posing ideas for boys basketball from teen to tween. Teen Basketball Poses – Randy Pollard discusses posing 15-18 year olds in boys basketball. Girls Basketball Poses – Randy Pollard shows you how to pose girls basketball. Youth Soccer Posing – Randy Pollard shares tips on posing for youth soccer. Teen Volleyball Poses – Randy shows how to pose older volleyball girls such as high school players. Tween Volleyball Poses – Randy Pollard shares posing volleyball players from tween to teen. Wedding Day Details – This form collects information such as bridesmaids, groomsman and more. Client Information Packet – This comprehensive packet created by Karen Butts collects client information as well as spells out studio policies which are presented to the client to sign off. There is also a nice workflow chart and release forms in this packet. Client Order Tracking – This tracking form helps you keep up with the progress of working with a client from the very beginning to the delivery of the final images and frames. Created by Elizabeth and Trey Homan. Consultation Card – This wonderful tool from Elizabeth and Trey Homan helps you ask the right questions and take good notes for your client’s portrait session. Collectors Series Portrait Card – A variation of the consultation card above. From Elizabeth and Trey Homan. Customer Log – A great form for tracking clients through the entire process from consultation to deliver. Created by Karen Butts. Daily Sales Register – Need a form to track your daily sales? Then this this form is for you, courtesy of Elizabeth and Trey Homan. Reproduction Rights Transfer – Do you sometimes sell digital images? This short letter from Elizabeth and Trey Homan transfers the right for you client to print the image. Ruler Wall Cling – This clever idea comes from Elizabeth and Trey Homan. It is a ruler that can be ordered as a wall cling. Provide one to your clients to place on their wall where they want a wall portrait and have them take a photo with their cell phone. This helps you determine which size will be best for their wall. Photoshop Shortcuts – Save time and speed up editing with these keyboard shortcuts. Create a “Rule of Thirds” Grid – A handy guide for creating a cropping guide in Photoshop. Turn Your Name Into a Brush – Step by step instructions. Adobe TV – This site is packed with helpful videos and lessons that will keep you learning even more!!! Steve Kozak’s Action Set – Steve Kozak’s Facebook Resize Action Set. Unzip the folder and install the action into your Photoshop actions folder. This action set automatically resizes images for Facebook and adds color borders or photo mats. There is also an up-size action included. Available Light and Composition – Sure, you know the “rule of thirds”, but are you up to speed on “The Golden Mean” and “The Golden Spiral”? Doug Box shares more on the subject. Posing Cards – Groups – An excellent guide for ideas and inspiration for posing groups. Created by Doug Box. Sunny16 Rule and Equivalent Exposures Guide Print out this handy guide to begin your journey into shooting in manual. Suggested Exposures Sheet This guide has the suggested exposure for a number of unusual lighting conditions. Print it out and keep a copy in your camera bag. Background Tips – A bit more on finding great backgrounds. Rogue Flash Gels – Interesting use of the flash gels to create dramatic color outdoors.